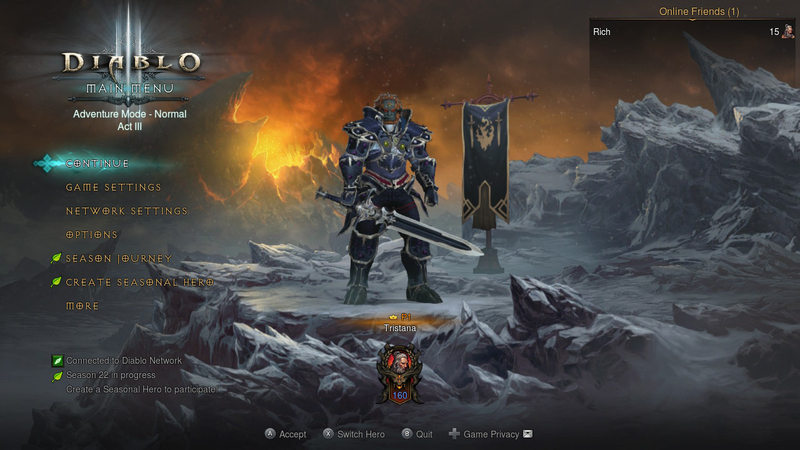 In case you missed the bombshell yesterday - and the rumours flying around just before then - it has been confirmed that Diablo III Eternal Collection will be arriving on Switch later this year. Adding a powerful portable dimension to its dungeon crawling, RPG action, this game could hopefully be the beginning of a fantastic relationship between Nintendo and Blizzard, who haven't worked together for 20 years. Fueling our excitement on this potential partnership even further, GameInformer recently sat down with Blizzard senior producer Pete Stilwell and PR manager Joshua Wittge to fantasise over potential crossovers with Super Smash Bros. Ultimate. The conversation actually took place around the time of the recent Smash Bros. Direct, and the two were asked about which characters they'd love to see in the game. Keeping things fair and equal, GameInformer went on to ask which Nintendo characters the Blizzard team would like to see in one of their own games. The answers were all big, bad villains, with associate producer Matt Cederquist saying that "Bowser would be a sweet dungeon boss". "Pig Ganon would be cool," said Stilwell... "I feel like we're mostly naming villains, but there's a lot of classic Nintendo villains. Pretty much any of them would be great." 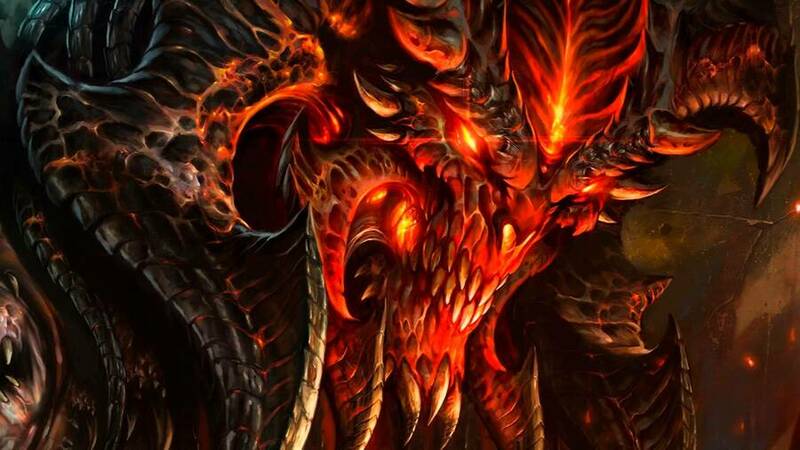 Would you like to see Diablo in Super Smash Bros. one day? 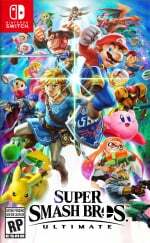 Any other recent third-party ports that deserve the Nintendo brawler fame? Let us know your thoughts down below. Even though I like the idea, that is not going to happen, at least not at the Ultimate game. Blizzard has been gone from a Nintendo platform for around 12 years! There is not a chance that Nintendo would add a character from a franchise that their players would not know. A zergling is more likely than this. What this tells me is that the people over at Blizzard are genuine Nintendo fans. At least that’s what I presume. Probably never gonna get a rep in Smash though. They already put a PlayStation character (Cloud) in Smash 4. One is enough though imo. Nintendo can add keyboard & mouse support, StarCraft 2 gets released on switch. They add Kerrigan, Raynor and maybe Zeratul to Smash. There's a loads from Warcraft universe as well. Eh, it'll be Jim Raynor, Sarah Kerrigan or some Protoss dude. It's almost become a cliche at this point. Some third party releases a game on a nintendo console and is like "you know we'd love a character in smash too." There's too many third party characters as is, and really I feel like only Sonic and megaman are deserving of the spot. Megaman is even debatable because capcom basically abandoned nintendo 20 years ago. I'd rather see Samus in a HotS port. @Euler @GrailUK Blizzard has always been more of a PC dev, with Diablo 2 released only on home computers, same with StarCraft 2 or the WarCraft series. Though some of their early games were SNES titles, namely The Lost Vikings and their early racing games. Nah. It's not as bad as adding Goku, but he's not a good fit. @GrailUK Considering how many times you posted that same message, I can only assume that possibility is deeply terrifying for you. Lost Vikings seem more likely, considering their Nintendo platform outings and wacky style. Of course controlling three different characters at once could be pretty taxing. Does someone know if they already confirmed cross save options? Through blizzard login or something? I wish they would have added a Samus costume to Diablo as well. @Ralizah Hahaha, blimey, no idea what happened there! It would be a cold day in Hell before that happens! @xpromisedx Highly doubt it, the other 2 console versions are their own separate games on different patches with a couple different changes, so chances of cross save just on switch is pretty unlikely. @GrailUK How many of them are there? Looking at the official roster I think they're all Japanese origin. The most modern character is Corrin from Fire Emblem and the Inklings from Splatoon, both Nintendo in-house, then Bayonetta who is Platinum. I guess Dark Samus could technically be counted as Western, coming from Retro's Meroid Prime series. Yeah I'd love a third game too. @Ogbert It's quite the struggle to think of any! I mean Shovel Knight is U.S but he's an assist. Donkey Kong was redesigned by Rare but hardly modern. Ummm...so I don't hold much hope for Diablo, Crash, Spyro, Banjo and Kazooie, Steve or Master Chief. Put The Butcher in Smash! Would be the best heavy hitter in the game. nah, Blizzard isn't close enough with Nintendo. Though at least Diablo will be on a Nintendo console, unlike Cloud representing FF7. @dougphisig that's a shame! thanks for your answer! 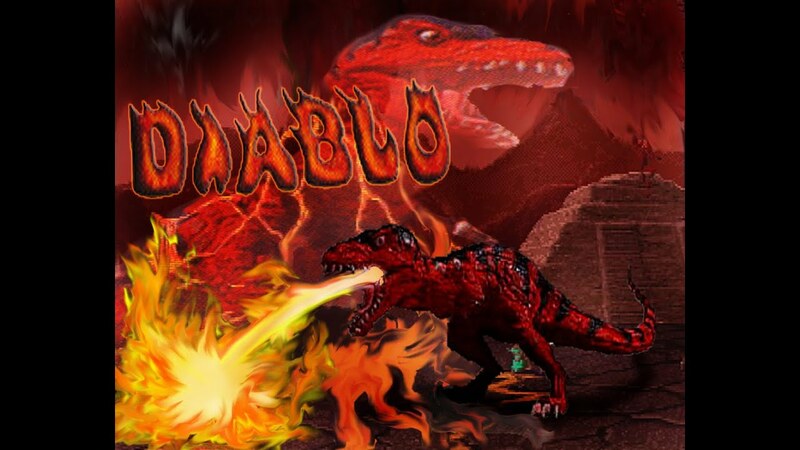 Not fussed if Diablo is in Smash or not specifically, but just today I was thinking I'd love a Diablo Amiibo to go with Diablo 3's release and if they added the character to Smash no doubt we'd see that. They need a ticket to enter Smash Bros. and that ticket is "LOYALTY"! Lost Vikings =best fit and interesting mechanics to boot. I think just about any developer would love to have their character/series represented in Smash. Smash Bros. at this point is the ultimate celebration of video game history. @Ogbert Diddy Kong and King K. Rool are both the only western characters in Smash right now. Ooh, can we get a Bowser transmog for Diablo during his fight? It's probably a bit late in the day and too close to the release date. Lol at all the comments treating Blizzard like an eager fanboy. It would be Nintendo’s luck to have a crossover with them. @gauthieryannick : Crash is Activision’s property. Final Fantasy VII is Square-Enix. @Alucard83 you are the blind one. The references they made are very specific and show clearly that they know the games they are talking about. Looks like some takes themselves very seriously! @HammerKirby I think Little Mac counts as a western character as well, none of the Punch-Out!! games were ever released in Japan except the Wii version and when Little Mac made it to Smash 4 the Japanese fans doesn't like him so I count him as more a western character. Also Fox, Falco, and Wolf are technically western created characters as the original Star Fox and Star Fox 2 for Super NES were originally developed by Argonaut Games (a British/UK development team). See Smash does had some western characters, just not that many. If Diablo sells then Nintendo should include Diablo in a DLC... If Nintendo do that then Blizzard needs to provide Overwatch. A WOW character like Thrall would be a fitting nod from Nintendo to the enormity of the franchise. @WreckItRyan I'm sure if Nintendo fans become loyal to Blizzard, they will in turn be loyal to Nintendo. Blizzard made the first move, now it's time for Nintendo fans to step up. S*!t or get off the pot, as they say! Man, you’re way too concerned about this. Take a chill pill and relax! @GrailUK that’s what I mean... I am confused now. @HammerKirby Ah yeah I suppose they are Western. We got 2! Hardly seems a thing to worry about. Pig Ganon would be an interesting choice. Bowser's a bit overused so it probably would not be as surprising. The only Blizzard character I would even consider putting in is Tracer. Zero interest in Diablo. No please no.... So many awkward requests. Dont listen to them Nintendo. Keep smash for what it is. Third party companies need to earn their spot, or at least be legendary, like Mario, zelda, megaman, Simon belmont! there are so many characters that deserve a spot in smash. So dont waste any space to ridiculous requests lol. [Insert game company] wants [insert character name] in Smash. You guys do realize they didnt say as a fighter, just in smash. A stage, trophy, or even an item would do! Think it would be cool to add even more franchises in some way. Smash will always be the biggest cross over game! @Alucard83 Just because they didn’t support the Wii U doesn’t mean they’re not Nintendo fans. To support that sinking ship was a bad idea for any developer. Bethesda are treating the Switch like a ‘first-class citizen’, but they were nowhere to be seen on the Wii U. What I’m trying to say here is that these developers would have supported the Wii U if it was financially viable. The only main exception to this is Ubisoft, who deserve serious credit for sticking with Nintendo. This is just a predictably dull answer to a softball, puff piece question. I can't believe people are actually addressing this as though it's an actual rumour. Nice work though NintendoLife. I appreciate your cunning in trying to present this aa newsworthy for a few cheap clicks. Worked on me! @tourjeff like.... Erm cloud strife does in nintendo consoles? He's probably less relevant to nintendo history than snake. @kotag @Jingo_Unchained if you check, you are going to see that there is quite a lot of Final Fantasy games released on Nintendo platforms, the last one being released in 2015 in the Wiiware. So yeah, chances are that Nintendo players will know who Cloud is. And there is at least two Metal Gear games that have been released for Nintendo consoles. One of them was on Game Cube which if I'm not mistaken had Smash featuring Snake so yeah, at that time it made sense. Now you tell me about Blizzard? Last game was released in the N64 and wasn't a Diablo game. @Jingo_Unchained I didn't say that he was in these games, he is known for the FF7 which didn't make to any Nintendo platform but, he IS the face of the franchise regardless if he was present in most games of the series or not. @tourjeff So? 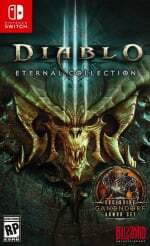 Isn't Diablo the titular main face of the Diablo series? I mean, if blizzard is willing to put any single one if it's characters into smash, Nintendo should jump on that. Blizzard has a massive library of fully fleshed out characters that fit. For some reason I just don't see the devil as a good fit for a Nintendo Smash Bros title. Make Star-Craft 2 for Switch! Diablo is not a good fit for Smash Bros sorry.